You can download source code of my previous tutorial here. As you know I work a lot with xml files (see my Xml/Xsl posts). Xml files are perfect for storing informations in structured way. Sometimes there is need for refactoring those informations. By refactoring I mean nodes/attributes renaming, changing value or place of those. If file is too big, that task may be very-very boring doing it by hand. Of course you can use your favorite text editor's search-replace feature but for complex tasks you will end writing utility for processing xml. I played a little bit with Groovy and GroovyShell and noticed that you can easily pass your (java) variables to it. It means that you can pass your editor's document and process it with Groovy. I created simple module for processing xml files. It is based on XPathEvaluator module. It adds a new window to Netbeans where you can write Groovy scripts. It binds xmlDoc, which is EditorCookie.getDocument(), to doc variable and evaluates the script which is in jEditorArea. 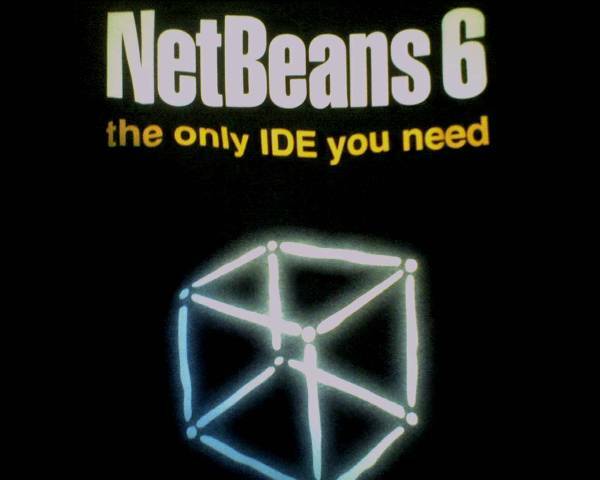 Maybe a Groovy could be a new way for extending Netbeans? Tell me what you think. I just found this little utility on my computer and decided to share it. 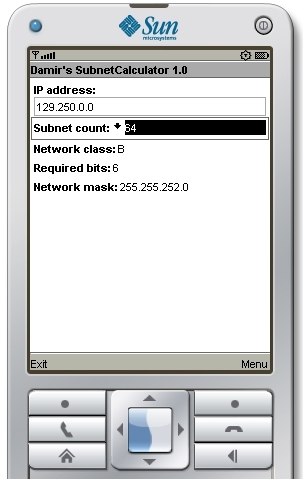 It is a j2me subnet calculator midlet for the mobile phone. I made it when I was attending a Cisco courses (2 years ago). I tested it on Samsung D500 (CLDC1.0 and MIDP 2.0) at that time. 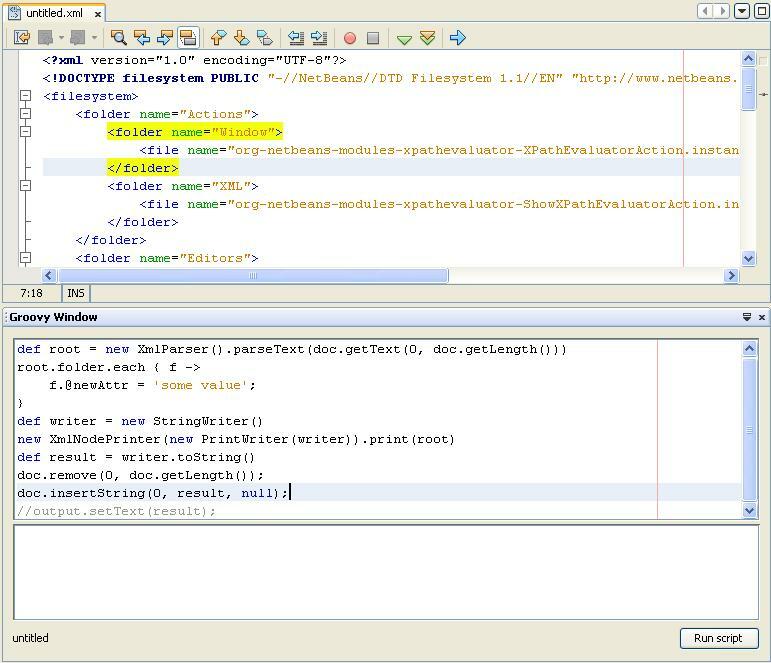 If jar is not working you can recompile it with Netbeans 6.5 and Sun Java Wireless Toolkit 2.5.2 for CLDC. I also found some interesting stuff: my antivirus (Avira AntiVir) software is reporting that Java Wireless Toolkit is infected by "BDS/Backdoor.Gen" back-door program when I try to run emulator.exe. Well, I was occupied with school and work. Last two months I was programming my diploma work :) and next week I have final exam. I just wanted to say hello and show you what I did using Netbeans. 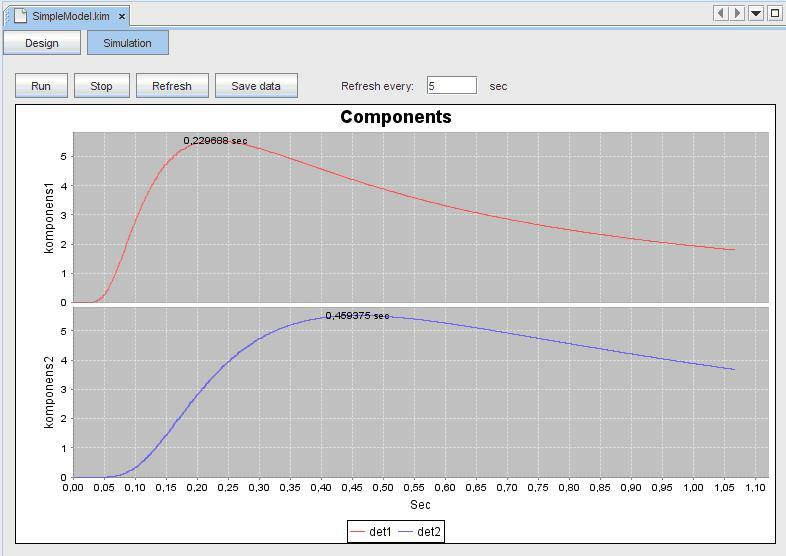 What you see is an interface of program for modeling the spatial and temporal distribution of concentration changes caused by the diffusion and chemical reactions. I'm specially proud on feature which shows the model in 3D while you type the code. Something like JavaFX editor. Now I have to learn for next week. 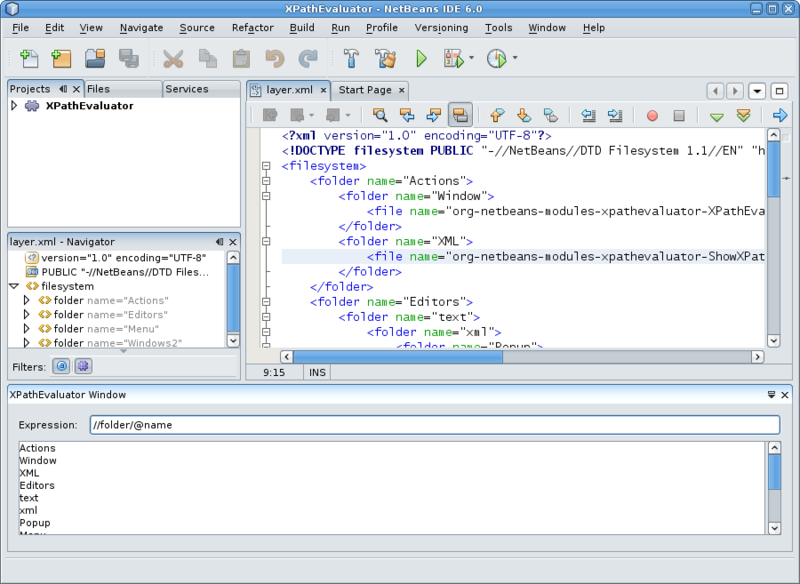 There is no exact tutorial (for Netbeans 6.x and JAX-WS 2.1) describing how to invoke web service from Netbeans Platform application. Right click on JAX-WS 2.1 and JAXB 2.1 Library and choose Edit. Select Implementation Version. That's all. Happy web service-ing :) By the way it would be nice if we could add web service client in module project like we do that in j2se project. There would not be need for client wrapper. 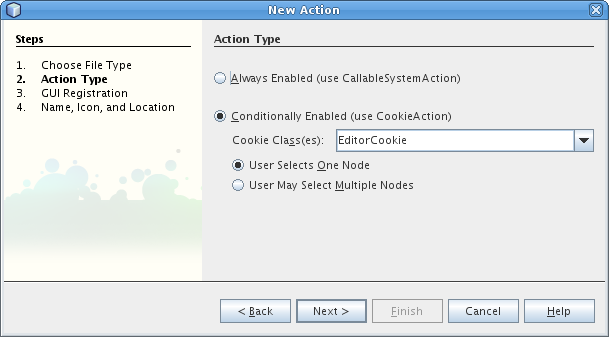 File opening: EditorCookie or OpenCookie? I do a lot XML and Xslt processing at my workplace. Altova XmlSpy has XPath tool for evaluating queries on edited XML file. I'm missing that (useful) feature in Netbeans so I decided to build something similar. Of course it's far away from Altova's version in features but it can be useful (and you can always extend it). New project: Choose File > New Project (Ctrl-Shift-N). 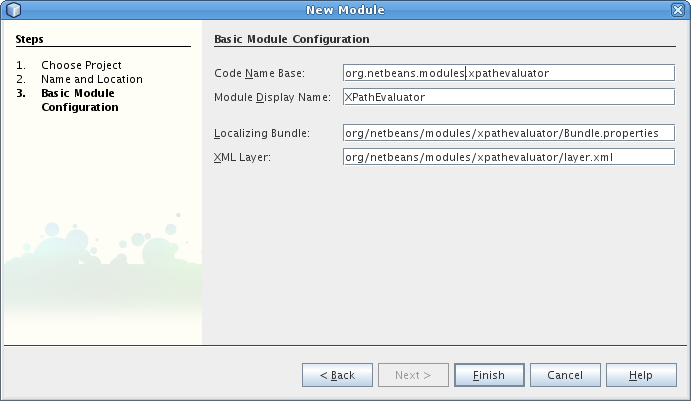 Under Categories, select NetBeans Modules. Under projects, select Module and click Next. 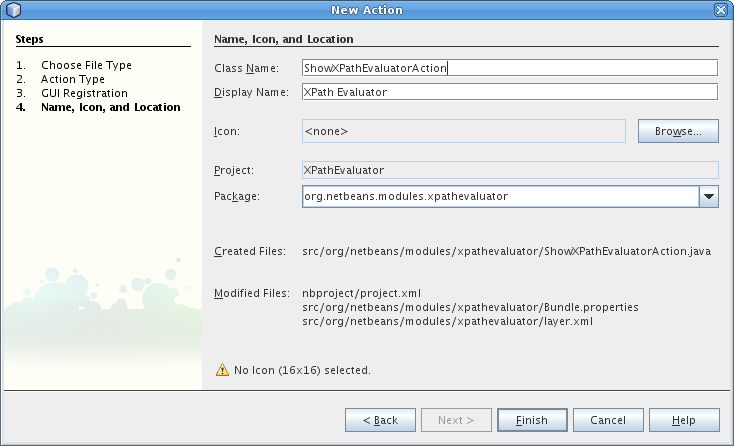 In the Name and Location panel, type XPathEvaluator in Project Name. Change the Project Location to any directory on your computer, such as /home/damir/Projects/netbeans. Leave the Standalone Module radio button selected. 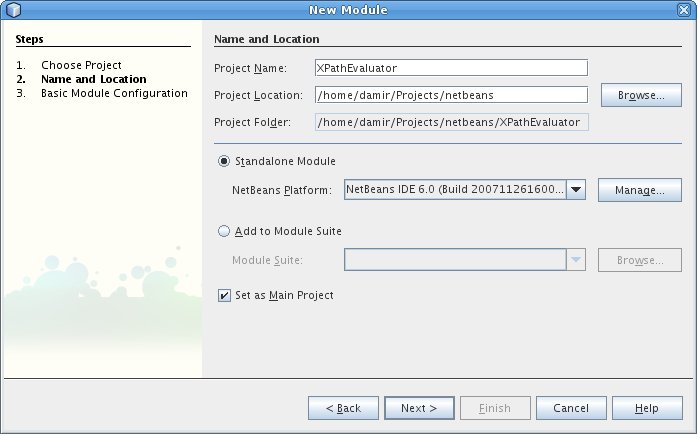 In the Basic Module Configuration panel, replace yourorghere in Code Name Base with netbeans.modules, so that the whole code name base is org.netbeans.modules.xpathevaluator. 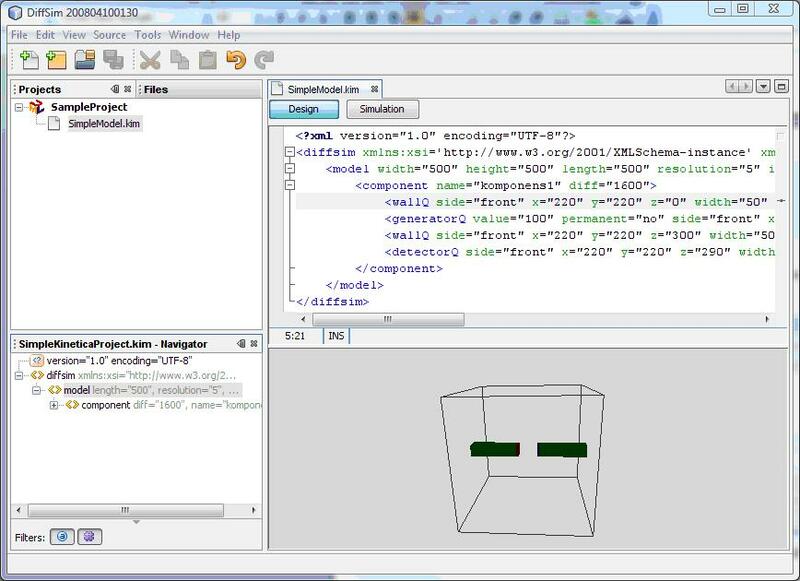 Leave the location of the localizing bundle and XML layer, so that they will be stored in a package with the name org/netbeans/modules/xpathevaluator. It contains XmlDataObject which we will listen for. New file (Ctrl-N). Under Categories, select Module Development. Under file types, select Window Component and click Next. New file (Ctrl-N). Under Categories, select Module Development. Under file types, select Action and click Next. When user choose XPathNavigator item from xml's context menu we will show him XPathEvaluatorTopComponent but before showing we will create org.w3c.dom.Document from editorCookie's input stream and pass it. Press Ctrl+I to fix imports. Make sure you select org.w3c.dom.Document from combo box. create private member which will hold org.w3c.dom.Document from selected editor and on which we will execute XPath. create setDocument(org.w3c.dom.Document doc) method for setting current xml document. create evaluate() method for executing and displaying XPath query. 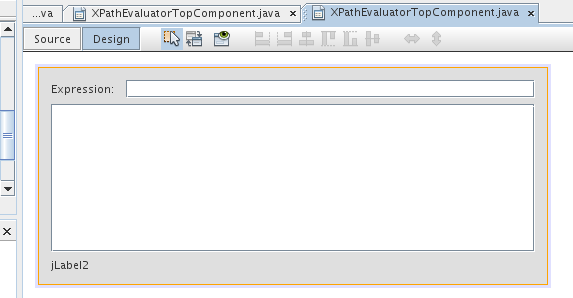 add DocumentListener to jTextField1 for executing XPath query as we type. listen for changes in TopComponent selection (when user opens/activates/closes other xml or non xml panel). This method is simple. 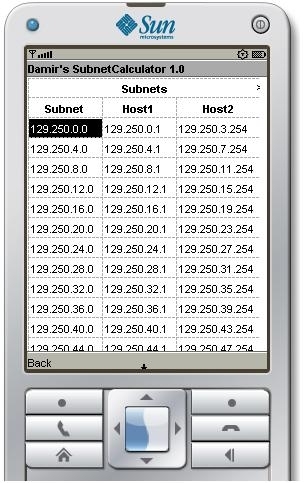 It evaluates text from jTextField1 control and fills jTextArea1 control with results after clearing the same. If there were errors it shows them at bottom of window (jLabel2). xmlDoc is current xml document. 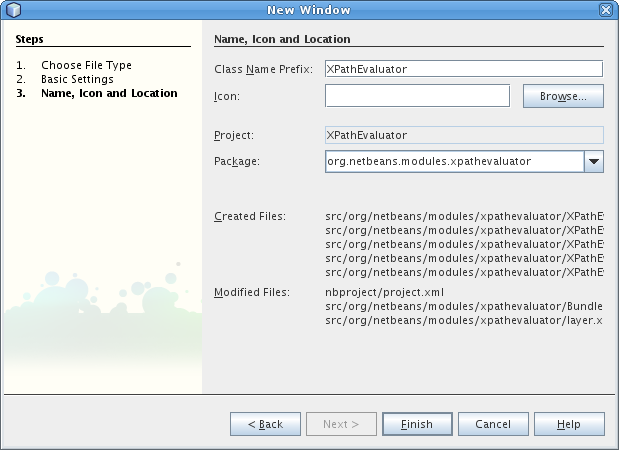 Following code is based on Netbeans Selection Managment Tutorial I. We have to listen for global selection changes of "Object". In our case it is XmlDataObject. We have to extend our TopComponent to implement LookupListener. LookupListener provides a method for handling changes (resultChanged(LookupEvent ev)). We have to check if there are any instances of XmlDataObject selected and change xmlDoc value according to that. If there are any XmlDataObject instances (in this case only one) then we have set xmlDoc member's value to selected XmlDataObject's XmlDocument and we have to enable input in window. If there are not any instances then we have to set it to null and to disable input on window. If we put only these two checks then we won't get waiting result. Supose that user selects xml file. If he change focus to XPathEvaluator window, Lookup event will be fired and there won't be any XmlDataObject selected and our module will be unusable. To avoid this we have to check if our window (XPathEvaluator) is selected. 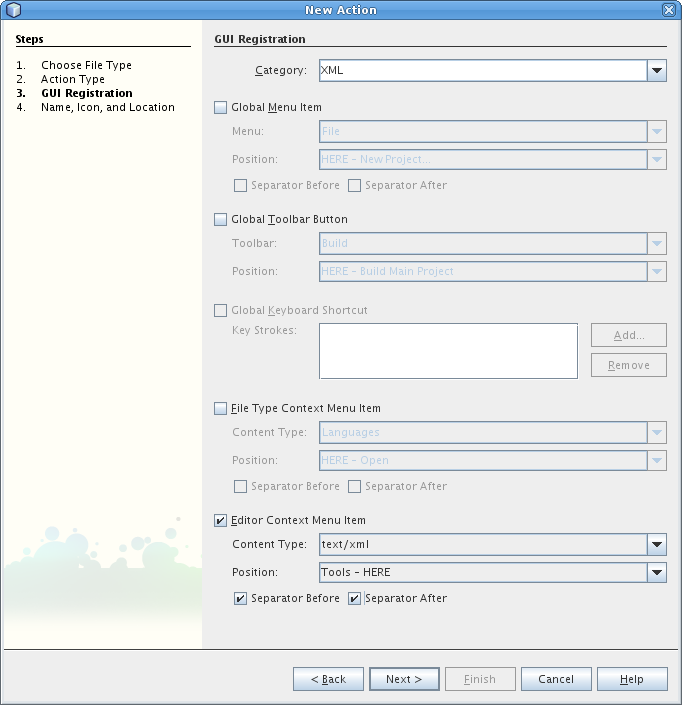 We have to create a member for holding the result where lookup listener is registered. You can find explanation for this in Netbeans Selection Managment Tutorial I.